Thanks for visiting my site! I know it has been a while, but that is because it has been a while since I moved the boat. 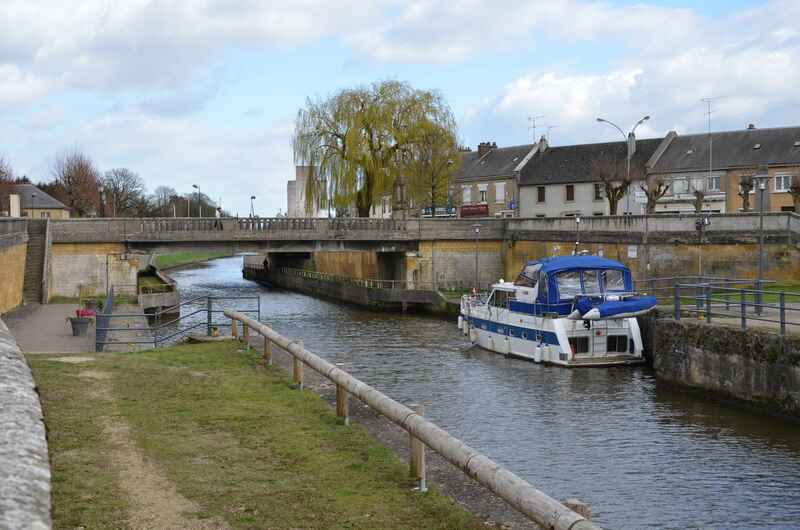 I left in October, because my French visa was about to expire, and because the waterway (Meuse river and canal) was closed due to low water levels. So, Pont-a-Bar became my winter mooring. After over-wintering, and then getting the boat ready for the season, and acquiring my long-stay French visa, I am now ready to begin this year’s boating adventures. 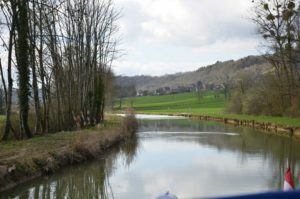 I set off from Pont-a-Bar, which is a lovely connection between the Meuse River system and the Aisne system. 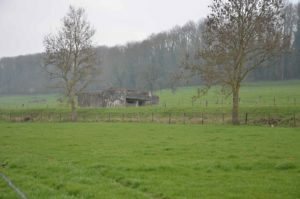 A cross-country route, there is much that entices, but, unfortunately, flooding in 2018 (!) washed out one lock and repairs have not been done. So, this canal is only open from Pont-a-Bar to the small village of Le Chesne. Steve joined me for this inaugural trip, and we serenely cruised along in spring weather (breezy, sudden squalls, and intermittent, glorious sunshine). 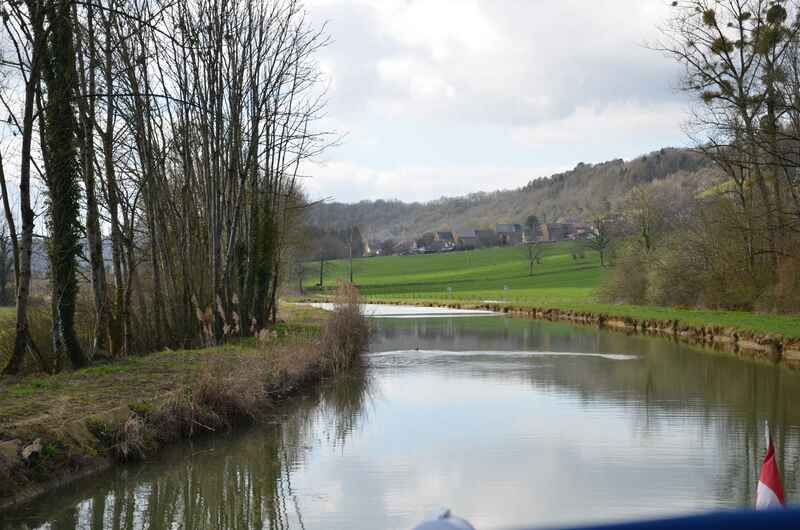 The boat is doing well, so arrival in Le Chesne was without drama. Le Chesne is a very sleepy village, which is surrounded by open agricultural fields, and reminds me a great deal of a Canadian prairie village. Of course the architecture is different, but the intimate connection between village and the fields surrounding is quite similar. Shops are closed on Mondays here, so there wasn’t a great deal to do or see, other than a closed college, a large but plain church, and a large grain elevator. 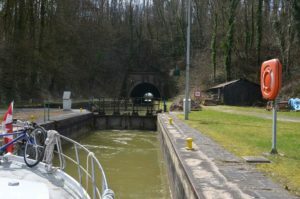 We are headed back to Pont-a-Bar, and hope that the Meuse is reopened to navigation after high water levels for the past 10 days.